Last time I left you with this project, we had just finished doing all the stitching in the ditch. If you need a refresher, you can click here for the previous installment of this series. Our set up for the finer quilting details of a larger quilt is much the same as for part 2. I chose not to have the extra table this time, however, because I didn’t need to maneuver the quilt as much for this section. I rolled the largest sections and placed them away from the machine, but left it loose for moving from section to section. Before I started, I looked my quilt over to see where I wanted to do some accent quilting. I decided that in the center blocks, I wanted to place some cross hatching in the open spaces of the block. Using Melissa Marginet’s book as a reference, I placed some guidelines in pencil prior to stitching, and decided upon the space between the lines, which are roughly 1.25″ apart. I put the same thread as my top thread in the bobbin, because my backing is white and I wanted to have some of my quilting show on the back. I’m using a variegated Wonderfil thread because I love the random look of the different colors. Plus, using a variegated thread is wonderful if you can’t get an exact thread color match to your fabrics. I used teal in the teal blocks, and pink in the pink blocks (not pictured – you’ll see those pics when the whole project is revealed at the end!). My quilt also features a lovely “dancing square” border, and I really wanted to make these pretty. I used a quilting embroidery design to quilt these blocks with my embroidery machine. Using your embroidery machine for these is great, because the design is perfect every time. Also using the AcuSetter App is perfect for this, you’ll get perfect placement consistently. Using your blue dot bobbin case when quilting with embroidery is very important. It ensures the back of your design looks like the top. I found stabilizer was not necessary for this, as I had previously anchored my seams with the ditch quilting. If you aren’t doing some basic quilting prior to embroidering, you may want to add some tear away stabilizer in your hoop. My Janome Skyline 9 machine embroidery hoops also have something really neat: magnets! This made moving from block to block so easy. All I had to do was undo the magnets, re-position my quilt and place them back on the edges of the hoop. There are lots of ways to quilt your quilts, the key is practice, practice and more practice. 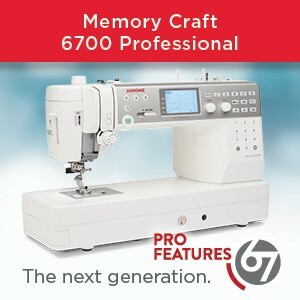 Grid quilting and machine embroidery quilting are two ways that don’t take a lot of physical effort. Once you have your basic support of your quilt in place, it’s very easy to move it around in smaller areas. Make sure you have good back support though, this is important to be able to move your body when you are finished quilting! 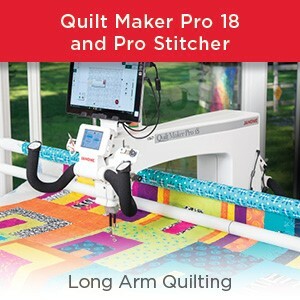 You may also want to include some free motion quilting in your quilt. I like to do free motion on my borders, because it’s easier to move the fabric around. Part 4 of this series will show you the setup and execution of how I like to free motion quilt. I’ve linked this post’s video here for your viewing enjoyment! 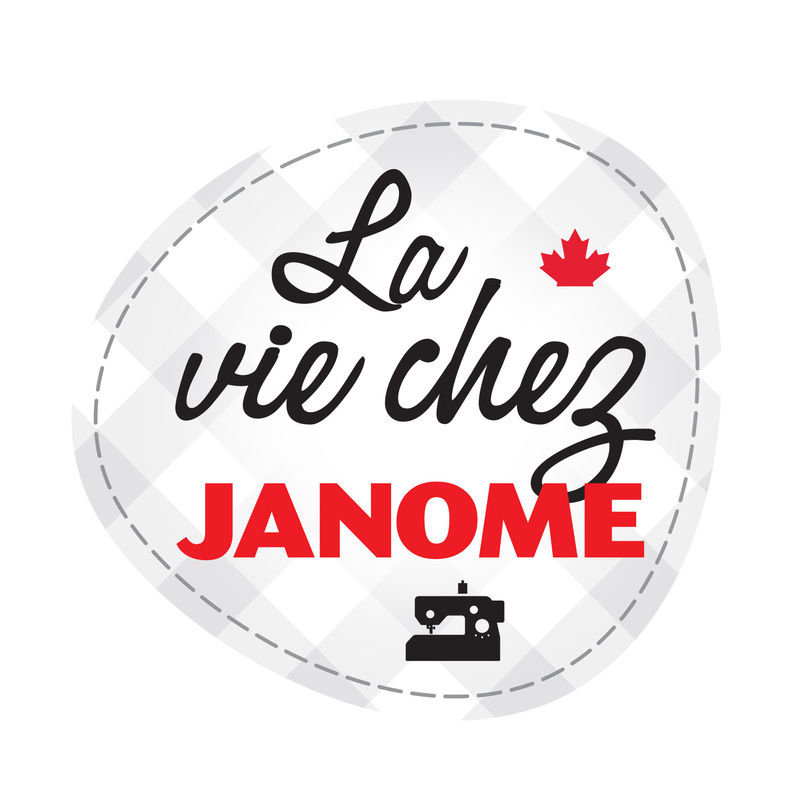 This entry was posted in Janome Sewing Machine, QUILTING WITH JANOME and tagged Embroidery Quilting, Janome Skyline S9, Machine Quilting, Walking foot. Bookmark the permalink. When embroidering the blocks, did you use the matching thread in the bobbin or the same thread used when stitching in the ditch with invisible thread? I checked with janomegirl and she says: “I used the same thread as the embroidery so it showed up. I wanted the interest on the back. But you could make the bobbin thread match the backing if you want it more hidden”. So here’s the thing. I purchased a Skyline S7 a little over a year ago. I use my AcuFeed foot quite a bit, but haven’t used the guide bar. I pulled it out the other day; it’s the guide bar that came with the machine — and it doesn’t fit. It won’t go through the hole? A friend of mine just purchased a Skyline S7 within the last two weeks, and discovered the same thing. Thoughts? 100% sure it fits unless you are trying to insert it in the wrong slot? It is a little stiff due to the need to hold it firmly in place – You don’t want it wobbling while you quilt! Please ask your local Janome dealer to show you the correct hole/slot into which the guide bar goes. I love this series of tutorials! 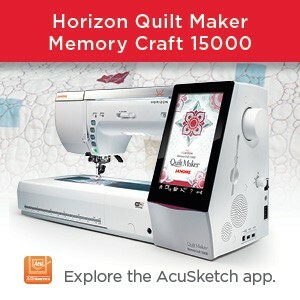 Great ideas for machine quilting using different techniques. Thank you for sharing!